Sometimes it's best just to stay in one's comfort zone. Believe me, I know all the counterarguments: "Playing it safe is boring," "You'll never get anywhere if you don't push yourself" and of course, "No risk, no reward." "Christopher Robin" takes a risk by taking Winnie the Pooh and his friends out of their familiar setting of the Hundred-Acre Wood and transporting them to the real world. And the whole time I couldn't stop thinking that the characters should have just stayed in the Wood. 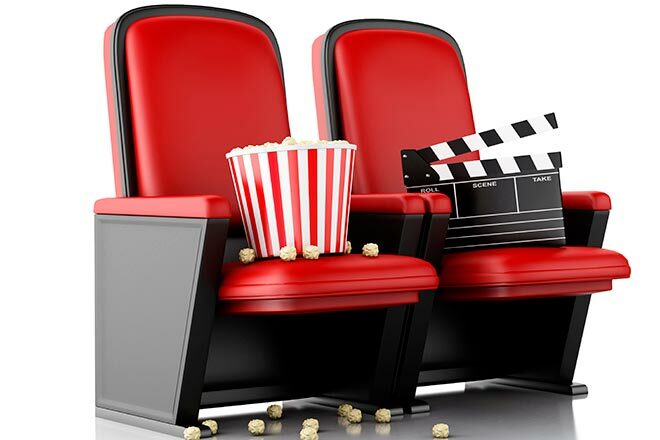 The real world would have been spared from their irritating presence and we would have been spared from this unnecessary movie. The story is that Christopher Robin, human ambassador to the Hundred-Acre Wood, eventually gets to an age where he has to go to boarding school and leave all his stuffed companions behind. He promises he'll never forget his friends, but life takes its toll on him, first with school, then with the death of his father, then with a wife and daughter, then with a war, and now with a career at a struggling luggage company. 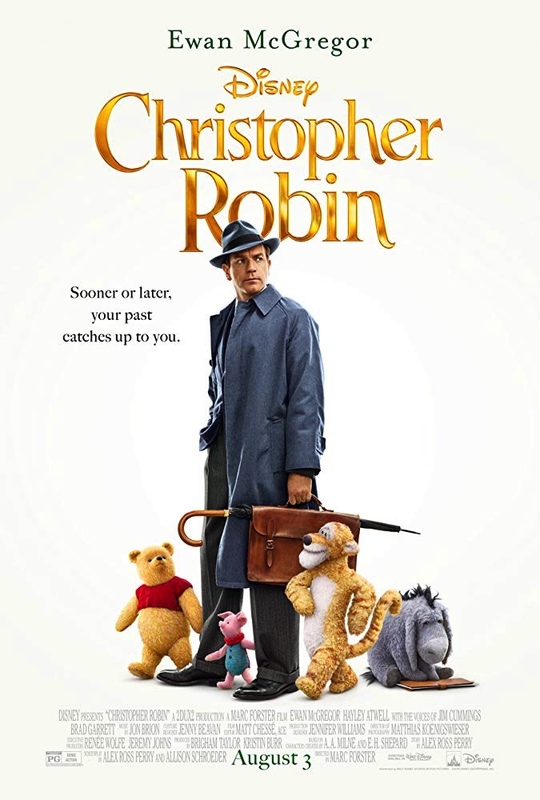 Grown-up Christopher Robin (Ewan McGregor) is an unhappy pencil-pusher who doesn't have time for something as important as family, let alone his glorified imaginary friends from childhood. Probably the biggest problem with the movie is that I just couldn't bring myself to cheer for things that I know are supposed to be cheered. For example, I know I'm supposed to sympathize with Pooh because he's friendly and well-meaning, but I'm sorry, he has no business inserting himself into social situations where he's well out of his depth. Having a play date with Pooh and having him as company when there's urgent work to be done are two vastly different things. It seems like all he does for half the movie is whine about hunger and boredom and other trivial inconveniences while Christopher Robin has to worry for the both of them. And speaking of Christopher Robin, I'm not terribly invested in him saving his soul-crushing job. It's a toxic work environment and he'd be better off without it, which is good because he's probably going to be unemployed once they run the math on his "miraculous" last-minute plan to save the company. Another problem is that 2018 has already given us a far superior film about a clumsy stuffed bear in London with an addiction to a sticky substance (marmalade instead of "hunny"). "Paddington 2" is my favorite movie of the year thus far, and it's hard not to see this film as a pale imitator. Seriously, this movie is quite pale, there's no vibrancy to its color palate. The best I do for "Christopher Robin" is compliment the movie on what it doesn't do. It doesn't force the beloved "Winnie the Pooh" characters to be cynically "relevant" like you see in lesser kids' movies. There's no rapping or break dancing or pop culture references or crude jokes about Pooh's name or his habit of not wearing pants. It really is trying to be a sweet movie, it's just coming up short because the decision to take Pooh out of the Hundred Acre Wood is a risk that doesn't pay off. "Christopher Robin" is rated PG for some action. Its running time is 104 minutes.